Who’s excited to watch the special? Remember Maine Mendoza’s Instagram post about legendary tattoo artist Apo Whang-Od from Kalinga? 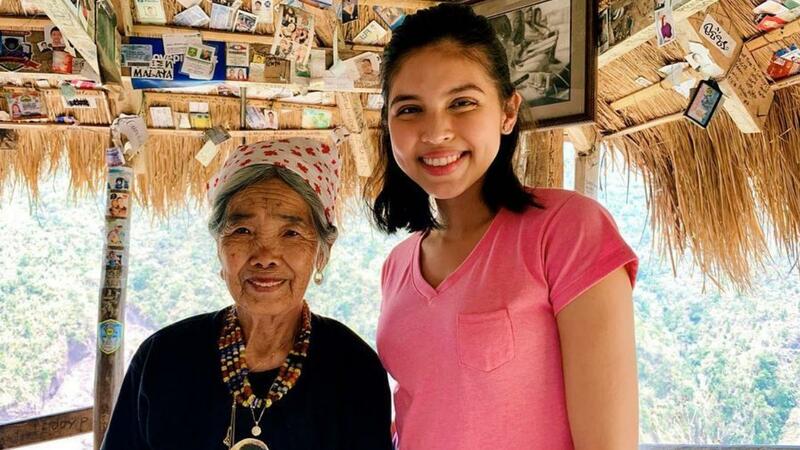 Turns out Maine was in the province to shoot a Lenten special called Biyaheng Brokenhearted. Directed by Ice Idanan, it stars Paolo Ballesteros, Jennica Garcia-Uytingco, Rafael Rosell, Maureen Wroblewitz, and more. In her visual diary, Maine says, “Tiyak na makaka-relate ang kahit sino dito. Makikita ang iba’t ibang diskarte at ways sa pag-move on.” She shares that the cast bonded in the short time they spent filming the special. Her favorite moments? Hiking in Sagada for the first time and meeting Whang-Od. You can catch Eat Bulaga’s Biyaheng Brokenhearted today at noon.